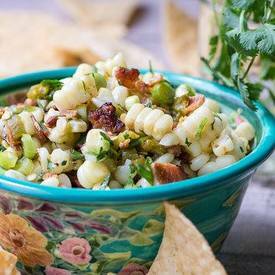 Sweet corn hatch chile & bacon salsa! Say that without drooling, I dare you! I’m crowning this the salsa of the year, it’s stolen my heart and I know it’ll steal yours. This salsa is going to be the HIT of your next party!